The Minnesota Horse Council announced the selection of Trainer/Instructor/Horse Show Judge Ken Bohlman as Minnesota’s 2001 Horseperson of the Year. The announcement was made at the Council’s Annual Meeting on January 26, 2002. Bohlman, who has trained Horse Show Champions in eight different breeds is recognized in the equine industry for this volunteer work with riders as well as for his logical, gentle horse training methods. He is the 32nd person so honored. 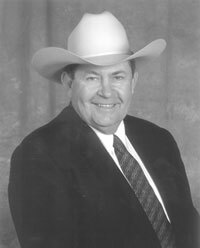 Bohlman currently serves on the Western Saddle Club Association Board of Directors and has served as Chairman of the Judges Committee. He has volunteered with many other organizations including many 4-H groups in several states. He has judged many shows nationwide including the Minnesota and Iowa State Fairs. Bohlman grew up in Truman, Minnesota. He began working with horses “about the same time he learned how to walk.” After serving as a U.S. Marine, he settled in Scottsdale, Arizona, where he worked for several ranches. He trained for major horse breeders who sent horses to him for training. For the last 20 years, he has trained at Island Farm in Lake Crystal, Minnesota. Bohlman is known for seeing quality in all horses. He has often trained horses that had reputations as worthless or vicious, and guided them to nationwide awards. He teaches riders to work with horses and then stays behind the scenes so tat others receive the recognition.